The 350/290 deluxe is a potent runner that can be used in a number of vehicles. Built on the long time engine block #10066034, this thumper is built to last. It's budget minded, but includes many great features for the money. Chevy Performance tops it off with an aluminum intake and chrome valve covers. Tests were performed with a Holley 670 carburetor (not included). 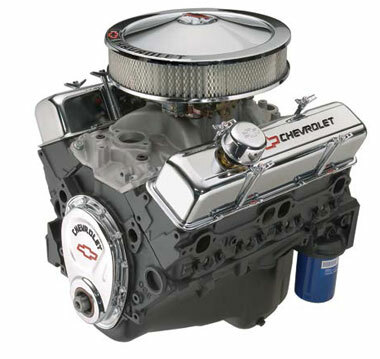 Using the Holley 670, Chevy got 300 HP and 335 lb.-ft. of torque.